The myStudentAid app created by the Department of Education is intended to streamline the federal financial aid process. 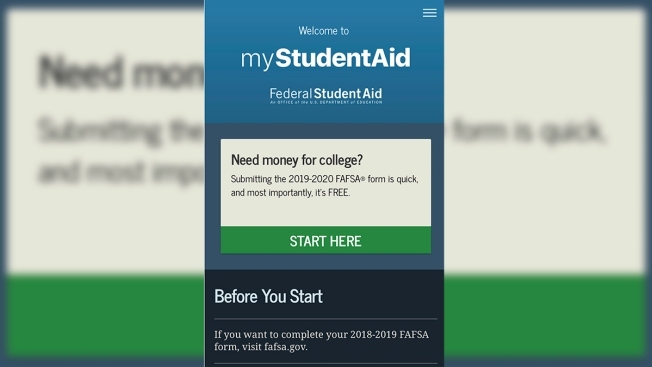 The Education Department is unveiling a mobile program intended to make it easier for students to apply for federal financial aid. Students and parents have long complained that the standard paper-based application form is long and cumbersome and could deter many from seeking federal aid and thus going to college. The department said the "engaging and user-friendly" app allows applicants to compare information about schools of their choice and electronically transfer their tax data from their tax returns. Every year, the Education Department awards about $120 billion in student aid in grants, federal student loans, and work-study programs.